Xsitepro Version 2.0 has been released. Why should I mention it here…very simple. It is one of the easiest ways to create and edit webpages to date. While you could use the wordpress platform for everything, inevitably you will need to build a website. In fact, using a strategy of static webpages and blogs can be very effective….so you will have to know how to build html websites and Xsitepro Version 2 is the answer. In discussing how to make money with public domain material you will eventually have to set up a webpage that sells a product, then you’ll need a download page and you could also use a capture page. So, teach yourself how to create these pages, if you haven’t built a website before, then Xsitepro is one of the, if not the, easiest methods of building a website to sell your public domain products. Remember….I use Xsitepro and once you get it figured out, it’s so easy you’ll be kicking yourself if you’re not online yet. So….I really just wanted to let you know…. Version 2 of Xsitepro is out. That’s right. That’s right, xsitepro version 2 is finally released and ready to make you money. 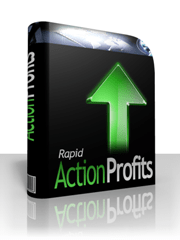 – Want to know exactly why this application is taking the Internet Marketing world by storm? – Want to know why people are getting SO excited about this product? Take a look at these videos for easy instruction on using Xsite pro along with details on how to create Xsitepro website templates. The new XsitePro Ver 2 allows anyone to construct websites easily…still a newbie can get a website up an running in a matter of hours…..yet xsitepro has many advanced features the allows more accomplished users a lot of flexibility for adding complex scripts and manual webpage editing. Xsitepro’s big benefit is when creating quick pages and also when creating sites composed of articles. It provides automatic linking structures that are seo friendly and along with a sitepage, rssfeeds and other important seo features. As much as I hate to admit, its a quick and easy alternative to dreamweaver….and I’m a dreamweaver aficionado. Are you serious about building websites? I would investigate XsitePro Version 2 Today!